PRE-ORDER SIGNED COPIES! WILL SHIP December 2015! Free-motion your way to modern, beautiful quilts! Free-motion fans, rejoice! 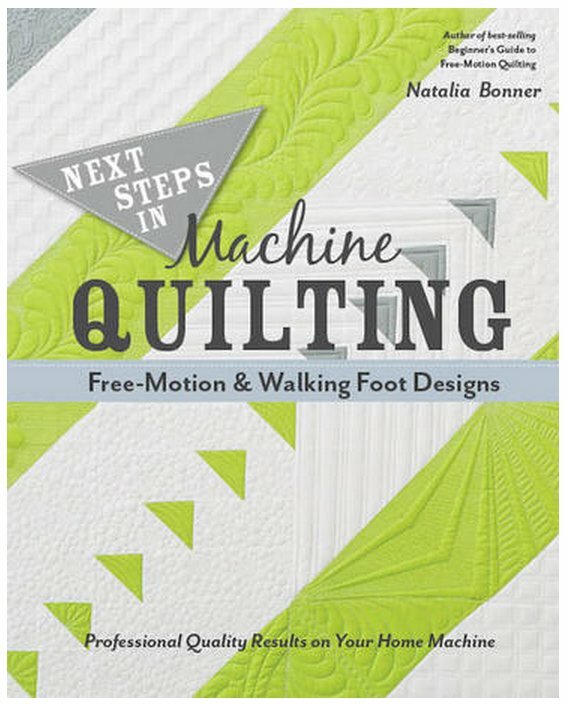 Natalia Bonner is back with a follow-up to her wildly successful first book that boasts 50 new modern, sophisticated designs that encourage quilters of all skill levels to stretch their skills on a home sewing machine. A variety of simpler straight-line and free-motion motifs invite beginners to dive in, while designs that modernize more traditional patterns will challenge intermediate and advanced sewists. Full-size patterns can be used for practice or marking quilt tops, and tips on a wide range of topics—supplies, embellishments, layering, and basting—open up a world of endless variations.